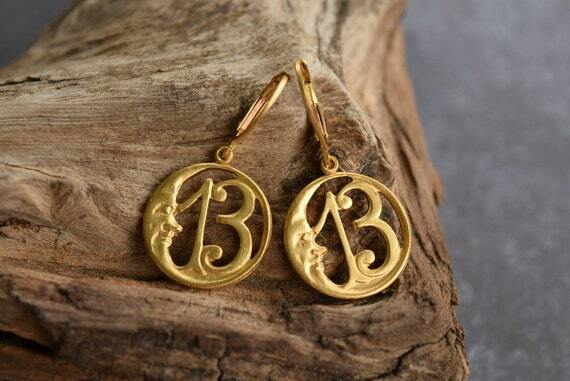 Lucky 13 earrings in raw solid brass. These charming number 13 crescent moon medallions are the perfect gift for someone with a birthday or anniversary on the 13th of the month, or whose lucky number is thirteen. Medallions and leverback ear wires are solid raw brass, uncoated. The medallions are a wee bit smaller than a penny, which is 3/4".